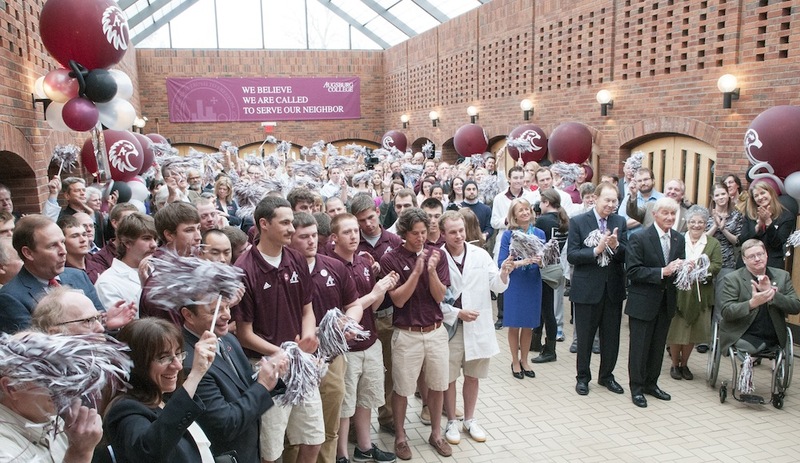 Members of the Board of Regents, students, faculty, staff, and alumni celebrate the successful campaign for the new Center for Science, Business, and Religion at Augsburg College. 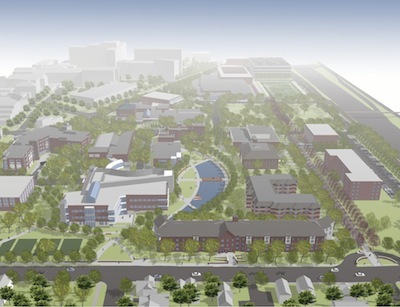 The Center for Science, Business, and Religion will transform the campus. (MINNEAPOLIS/Updated 4:06 p.m.) – Augsburg College today announced the successful completion of a $50 million capital campaign for a unique, interdisciplinary academic building that brings together science, business, and religion. The campaign, the largest in the College’s history, met its goal a year in advance of the original schedule.